Bank Of Maharashtra Clerk PO Exam Result 2016 To Be Declared Soon at @bankofmaharashtra.in The Bank Of Maharashtra is going to declared the result of Clerk and Probationary officers(PO) on the official website of the bank. Those candidates who had given the exam of the above posts, can check the result on the official website of the bank or a direct link is given below for the same. The bank had conducted the examination in the month of October this year. The result for the same is still awaited. 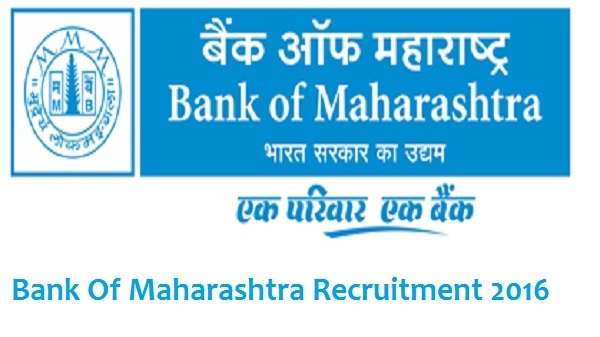 About BOH: Bank of Maharashtra is a public sector bank in India. The bank has 15 million customers across the length and breadth of the country served through 1895 branches as of 5 April 2016. Government of India holds 81.61% of the total shares. It has largest network of branches by any public sector bank in the state of Maharashtra. Earlier, the bank had released the notification regarding the recruitment for the post of clerks and officers in its branches across the country. The notification had been released for about 1,316 vacancies of various posts. The bank had conducted the written the exam on 21st, 26th, and 28th October 2016. Please visit the official website of Bank Of Maharashtra or click on the link which is given below for the same. Click on the careers and then on the link – Results of Officers and Clerks 2016. Enter your Roll number and password in the given fields and then enter the submit button. Check or download it for the further use. For more information, please visit the official website of the bank regarding the results.